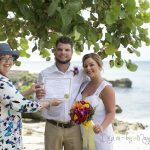 Some couples book their Cayman cruise wedding over a year in advance, some like this Missouri couple, just a couple of weeks. We were happy we could accommodate them as we also had a Registry Office wedding booked today. I am using this part of Governor's Beach more now for my morning weddings as it gets hotter, because of the welcome shade provided by the casuarina trees. 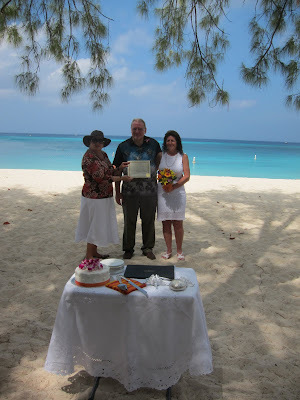 Here you see the wedding party with the "best woman" and maid of honour. 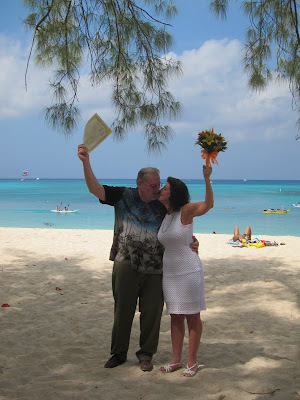 while of a western Caribbean cruise which included Jamaica, the Cayman Islands, and Cozumel. 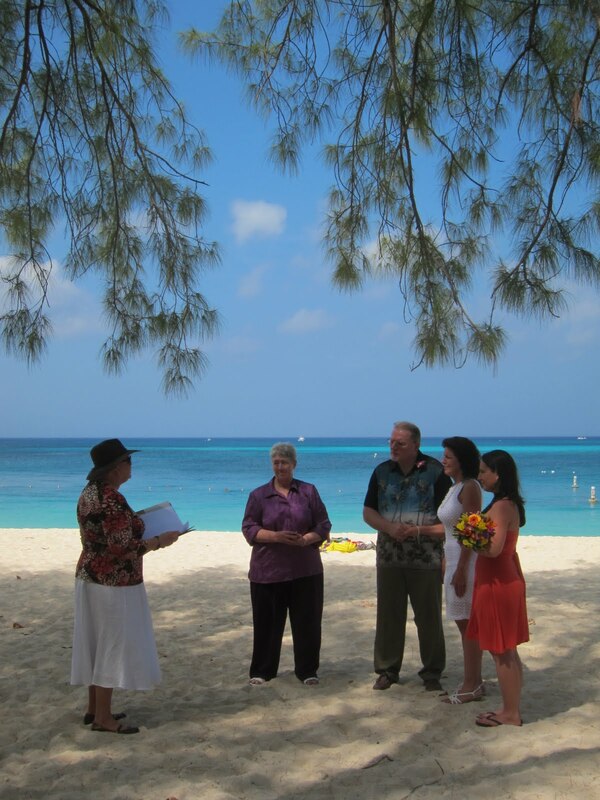 I'm glad they chose Cayman, the prettiest beach and the easiest island to get married on. Weather-wise it was a perfect day for a wedding in the Cayman Islands. 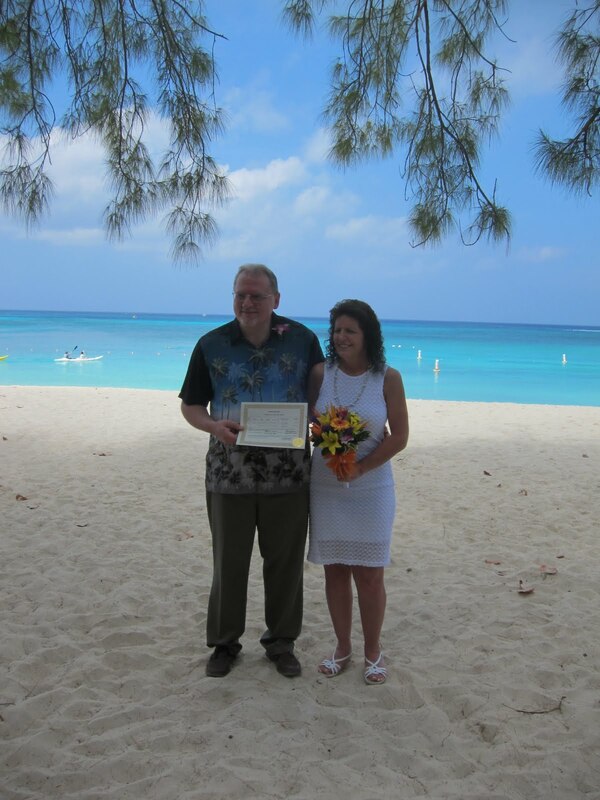 Everybody got lots of pictures of the pink sand and the turquoise water. 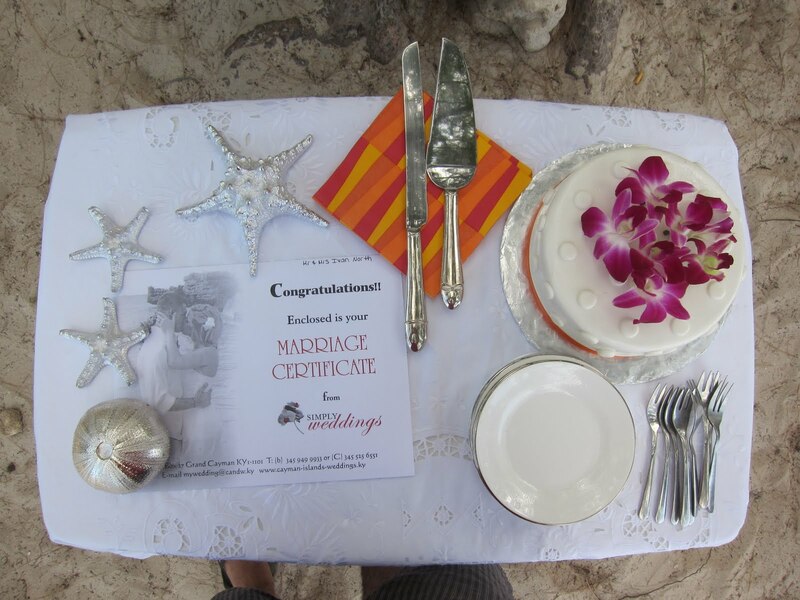 After the wedding we all had wedding cake from Faith Gealey-Brown's "Caykes" served on the beach before I took them back to the harbour to enjoy the shopping and the sites of our capital, George Town. 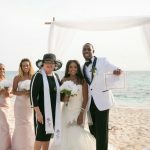 If you're thinking of a Destination Wedding in the Caribbean, or a wedding while on a cruise to the Western Caribbean, you're in good hands with Joy and Peggy of Simply Weddings - Grand Cayman Wedding Celebrants and Planners. 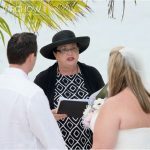 We are an independent, family owned Caymanian business and we take the stress out of planning your simple, elegant but affordable Cayman wedding. 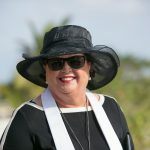 Our vendors and our prices are simply the best, and we give you the personalised, friendly service that makes the Cayman Islands a preferred cruise destination. Call Simply Weddings, the cruise wedding specialists, today at +1 (345) 9499933 or +1 (345) 5256551 or email us at mywedding@candw.ky to get started with your special wedding day in the beautiful Cayman Islands.